A single traffic accident can change your life. Your health and livelihood may be threatened. Your family is worried. You are anxious to heal. The at-fault driver’s insurance adjuster is calling nonstop, asking to settle. While unpaid bills pile up, you and your family are caught up in a mess of red tape, unsure of whether or not to accept the insurance company’s offer. You may not want to ask for help, but oftentimes hiring an experienced attorney is the best way out of a post-accident nightmare. The Chattanooga traffic accident lawyers at Wagner & Wagner Attorneys at Law are fair, committed and knowledgeable. We know to never accept an insurance company’s first offer. We ensure your rights as a traffic accident victim are protected. Whether you are traveling on I-24, heading to Georgia via I-75, or trying to bypass the Downtown area on Highway 53, you are bound to share the roads with a number of other vehicles. Even when you are following the rules of the road perfectly, you cannot always control how others will behave on the roads. Car accidents. Cars may be getting safer, but drivers are not. Distracted driving is a huge problem nowadays, frequently leading to severe crashes. Speeding, drunk driving and aggressive driving are other top causes of collisions. Our job as your attorneys is to find the exact cause of an accident and prove the other driver was to blame. Motorcycle accidents. When a car or truck hits a motorcycle, the motorcyclist can sustain a number of life-threatening injuries. From spinal cord damage to traumatic brain injuries, the motorcycle driver may never be the same. Our firm helps injured drivers obtain the funds needed to secure proper medical treatment and more. Truck accidents. Commercial vehicle accidents are terrifying. A small passenger car is no match for a giant tractor trailer. Everything from truck driver fatigue to reckless driving can cause a truck to collide with a car. We help you pursue justice against negligent truckers and the companies they work for. We do not want to put any more stress on you than you are already going through. Let us handle the legal process while you focus on healing. Bicycle accidents. Bikers on and off the road are in danger of being hit by a car. Even if you are following all the rules of the road, a negligent driver who fails to abide by the same laws can cause a serious accident, leaving you with unimaginable injuries and pain. Pedestrian accidents. No one expects to be hit while crossing the street or walking in designated pedestrian areas. Drivers have the duty to heed pedestrian safety. When drivers fail to uphold that duty, you may require legal representation. Bus accidents. Bus accident cases are tricky since the driver and the bus company may both be at fault. Whether you were injured while on a public bus, school bus or private coach, consult a lawyer to learn more about your rights. Train accidents. While relatively rare, a train crash is particular scary. These accidents affect a large number of people and may be extremely complicated. We can advise you on the best possible legal route. Recreational accidents. Perhaps your child was injured on the playground or while practicing a sport. Maybe you were hurt using defective equipment at the gym. The root cause of a recreational accident may be a negligent coach or supervisor, broken equipment or an unsafe property. These complex claims require the assistance of a qualified attorney. Boating accidents. Any accident involving a watercraft can be dangerous even to the most experienced boaters. Boat accidents happen on everything from sailboats to fishing boats to speed boats. No matter where or when the crash occurred, an attorney can give you proper legal advice. We begin each new case by educating clients and their family members on what laws apply and how they affect the situation. Experienced lawyers from our firm know the intricacies of these laws, which greatly benefits the outcome of your case. 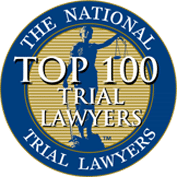 At Wagner & Wagner Attorneys at Law, we have handled many traffic injury cases during our 70 years of experience, and projecting possible scenarios has become second nature. Because we do not know how the injuries will change or worsen over time, we must build a life care plan based on the worst-case scenario. Unfortunately for many victims, insurance adjusters offer settlements based on the evidence in front of them. 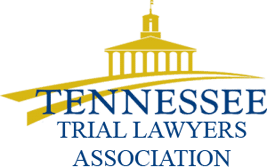 Our Chattanooga traffic accident attorneys look ahead and make sure you get the funds you need to make ends meet now and farther down the road. To learn more and schedule a free consultation, please contact us today at 423.799.3532 or by filling out a contact form. 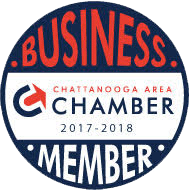 We gratefully serve clients in Chattanooga, North Georgia, Cleveland, TN and the surrounding counties.